This will be the fourth variant of the device after the midnight black, sandstone white and the special Star Wars edition that was launched last month. OnePlus has launched the Lava Red edition of the OnePlus 5T at Rs 37,999. The device will go on sale on January 20 at 12pm. Currently, it is listed on OnePlus' official store and will also be available on Amazon India's website. On the date of the launch of the OnePlus 5T Lava Red edfition, Samsung will also start selling its Galaxy A8+ in India. The device will be a direct rival of the OnePlus 5T and comes with a few features that are usually found on Samsung's flagships. However, in terms of specifications the OnePlus 5T is the true 'flagship killer'. This will be the fourth variant of the device after the midnight black, sandstone white and the special Star Wars edition that was launched last month. The device will only be available in the 8GB variant for now. The registration for the sale of the device has already begun. 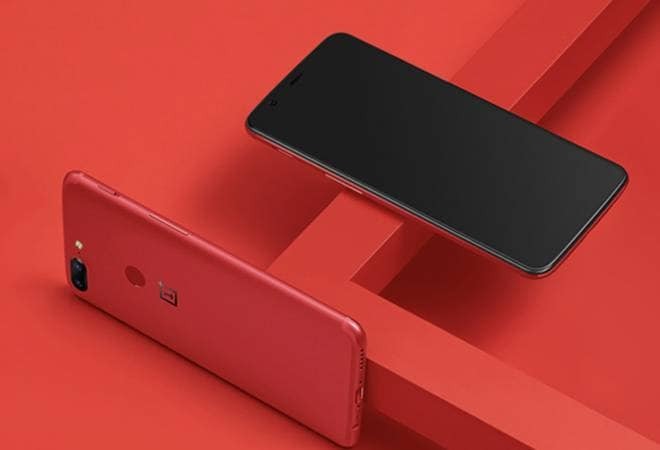 This is the first time OnePlus has launched a Red coloured phone. The new variant was available in a few markets outside India and has been requested extensively. According to OnePlus the new variant undergoes a two anodic oxidation process, double blasting and AF coating which gives it a certain texture. The device also gets a special wallpaper to match the Red theme of the device. The OnePlus 5T will be first device from the company to feature an immersive display with a resolution of 18:9. The screen has been equipped with Sunlight Display which adjusts to the ambient light and activity to create optimum viewing experience. OnePlus 5T and OnePlus 5 internals are identical as far as processing power is concerned. The device is powered by an octa-core Snapdragon 835 chipset clocked at 2.45GHz coupled with Adreno 540 GPU. Another aspect that the company has improved with the dual camera on OnePlus 5T is portrait photography. The OnePlus 5T also comes with refined Electronic Image Stability (EIS) for better video and image stabilisation. With the 5T, OnePlus is bringing Face Unlock feature, which the company claims can unlock the device in 0.4 seconds flat. The feature detects eyes and nose contours of the user and delivers 99 per cent success rate even with scarves or while making funny faces. The Face Unlock, however, canot be used with apps dealing with with sensitive information payment details, for the sake of data security.